The U.S. Army is the best-equipped force in military history, from the simple bayonet to multi-million-dollar technological marvels like the M1 Abrams tank and Apache Longbow helicopter. 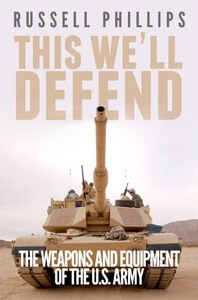 This We’ll Defend outlines the most important weapons and equipment the Army currently uses. All facts, figures and images in this ebook are direct from publicly available Army sources, edited and annotated to form a short, easy-to-use but comprehensive reference.